Pearls. Neutrals. Clean lines. If you like wearing plus size classic outfits, we’re here to help you define your style it so your Dia Stylist knows exactly what you love. Defining your style is often hard, but it can be especially tricky for those who have classic style. There aren’t as many clear identifiers, and often, we’re left scratching our heads wondering what exactly classic style is. If you’ve ever felt too limited by plus size options to be able to define what you’d like to wear, you’re not alone! We’re here to break down style categories so that you can better describe your style and ask your Dia Stylist for the right pieces for you. 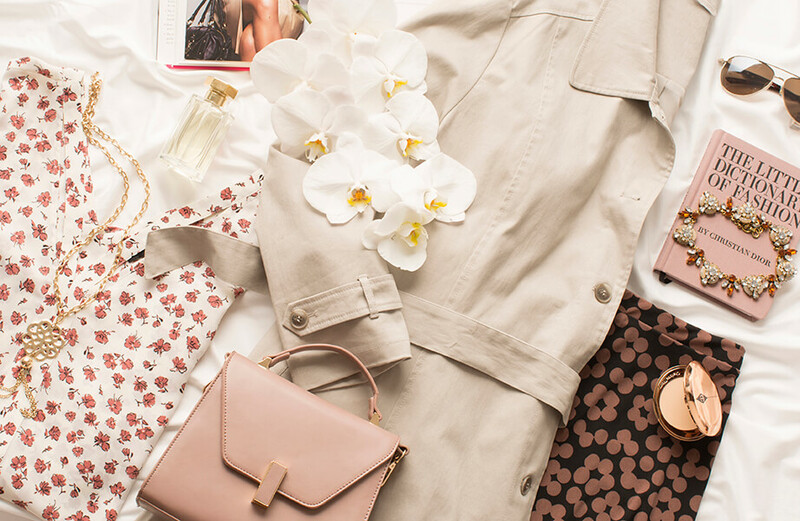 To get started, you can define dressing in classic outfits as wearing lots of neutral hues, tried-and-true prints, and silhouettes that work time and time again. To help you get a feel for what classic style is, here are some good rules of thumb. You avoid purchasing trendy pieces that you know will go out of style in the near future. Your style could also be described as polished and timeless. The jewelry you regularly wear is a hand-me-down that was just as in style when your mother wore it as it is today. You appreciate “investment pieces,” that cost more but that prove their value in the long run. Quality is always more important to you than quantity when shopping for clothing. You prefer tailored items that aren’t too oversized or flowy. When you see a photo of yourself from 10 years ago, you wish you still had the outfit from the photo. You often shop at fast fashion stores where you can find the latest trends at a low price. You like to be the first one to adopt a new trend. When it comes to shopping for clothes, price is most important and quality comes second. Sometimes you prefer items that are oversized or flowy and other times you prefer shrunken or undersized, depending on today’s trends. You can’t help but laugh at what you wore 10 years ago. Here are some additional ideas for how to capture chic, timeless style in some of our favorite classic outfits. 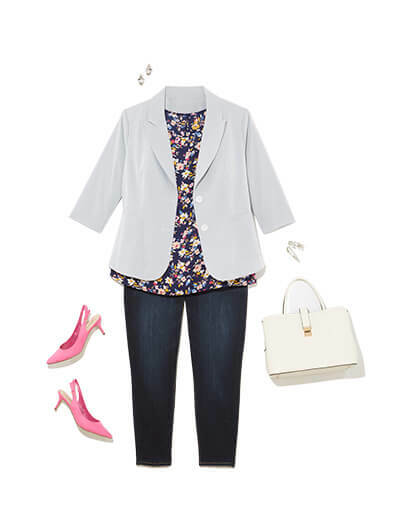 A seersucker blazer, kitten heels, and a work bag polish up jeans and a printed tank. Your favorite dress becomes office appropriate with a classic navy blazer. Trousers never go out of style, and neither do camel pumps. Mix in a printed tank and playful accessories to bring it into the now. 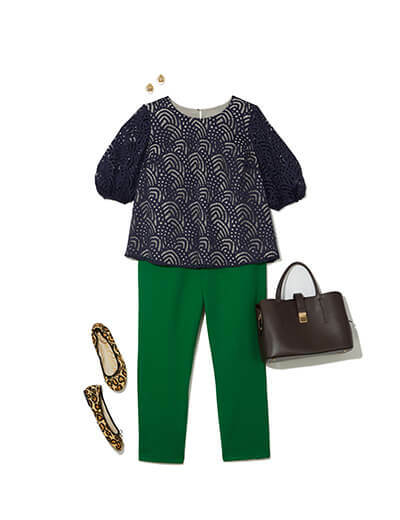 A bold green hue sets these pants apart, but a reliable work bag, lace top, and leopard flats make this look perfect for today—or any day. A neutral tan sweater and plaid wide-legged trousers are always in style and make for classic workwear—no matter the trends. 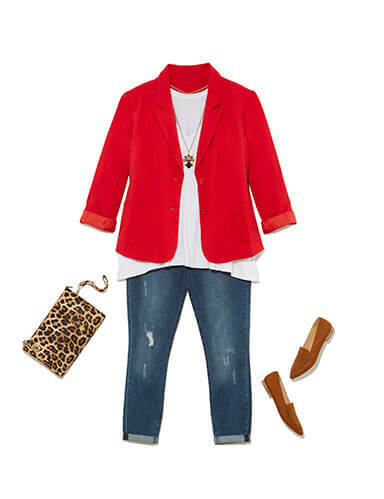 Show off your wild side with a vibrant red blazer and leopard print clutch. Both are timeless, yet eye-catching. A collarless camel coat works year after year and pairs perfectly with any little black dress. A holiday dress with a playful print is perfect for this years’ holiday party—and for years to come. 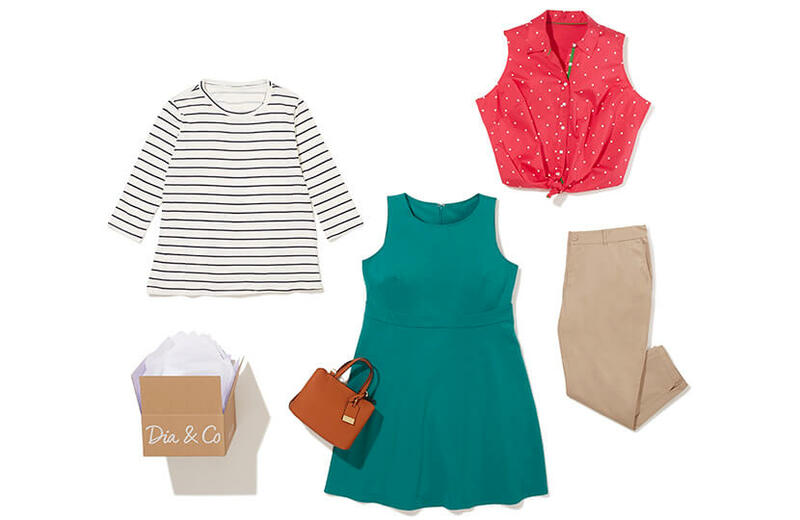 If you feel like the outfits on this page belong in your wardrobe, let your Dia Stylist know that you’re a classic girl. Plus, don’t forget to update your Style Profile so your stylist knows that classic outfits are a good fit for your lifestyle. Here’s to timeless prints, neutral hues, and knowing when to be bold!